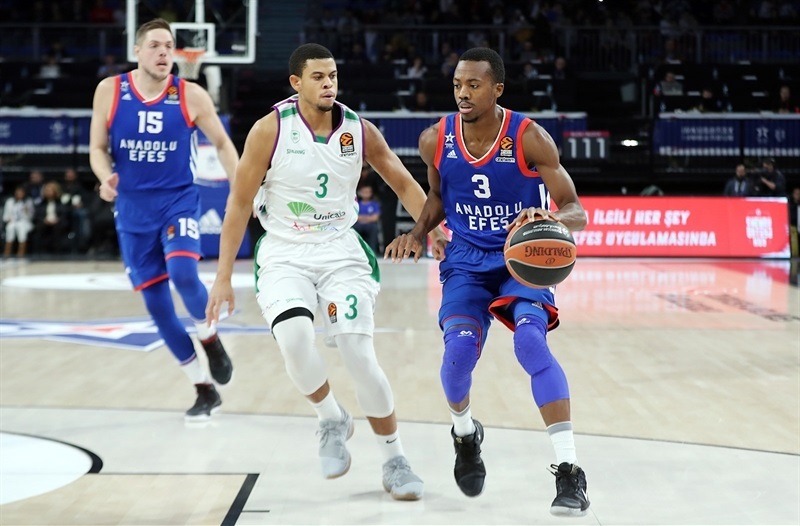 Unicaja Malaga stormed back from 9 points behind on the road in the fourth quarter to steal a 74-79 victory from host Anadolu Efes Istanbul on Friday. 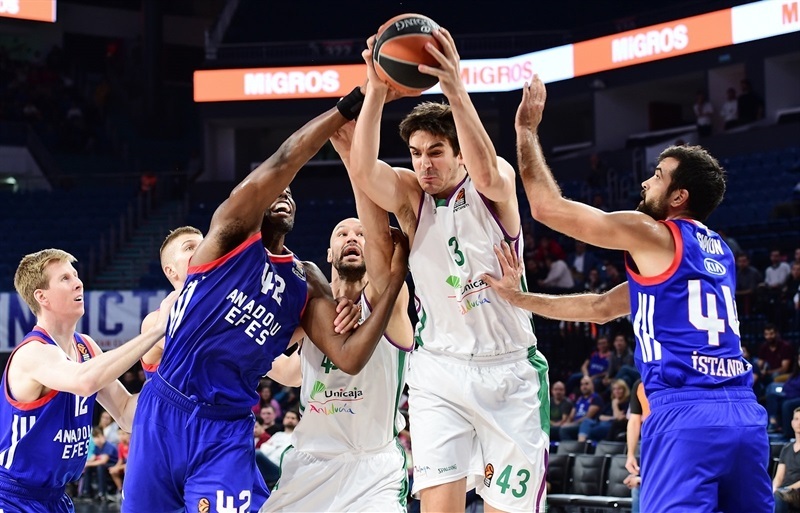 Unicaja improves to 2-3 with its first road win while Efes remains winless at 0-5. 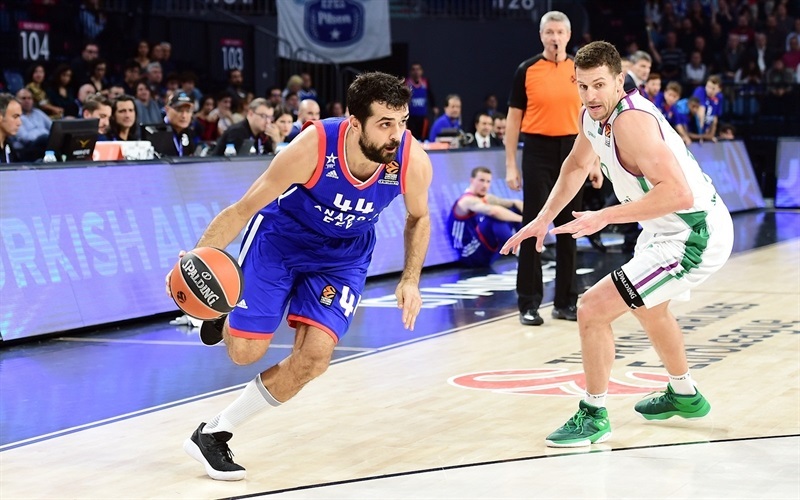 Unicaja trailed by 9 points, 62-53, after the first basket of the final quarter before using a 5-17 burst to take over, leaving Efes no time to recover. 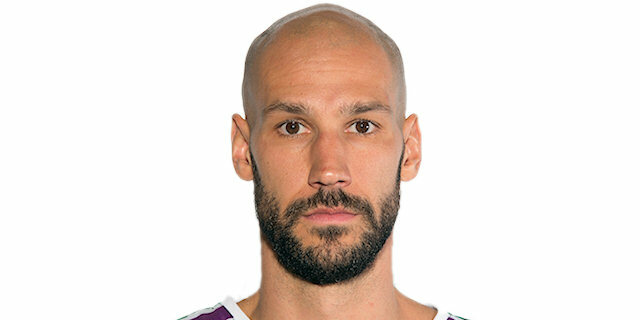 Another team effort saw three Unicaja players score 13 points - Nemanja Nedovic, Ray McCallum and Giorgi Shermadini - while James Augustine was huge with 11 and 8 rebounds. 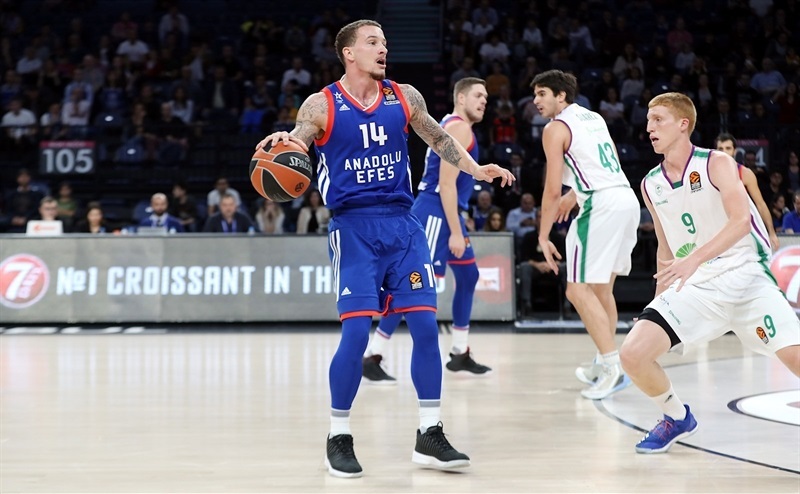 Efes, which broke open the game after halftime, only to falter in the final quarter, got 17 points and 11 rebounds from Vladimir Stimac, who pulled 7 offensive boards. Brock Motum added 16 points Kruno Simon 12 and Josh Adams 10 for the hosts. 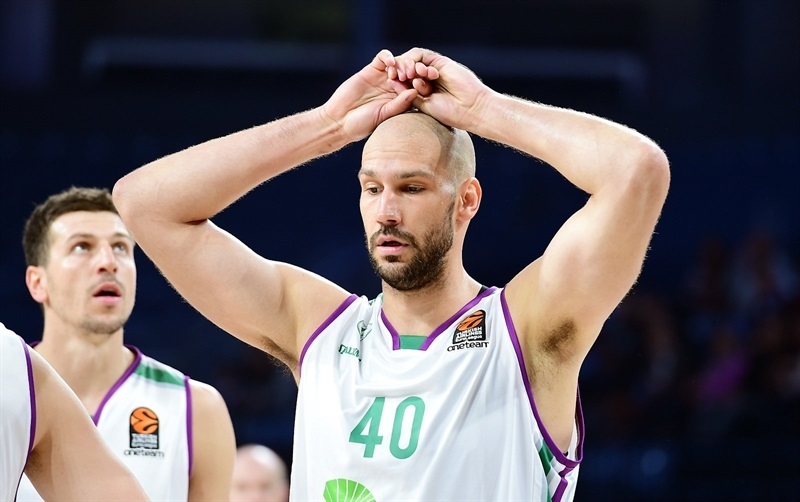 Stimac got Efes going with his effort inside, but Sasu Salin sparked Unicaja's offense with a pair of three-point shots before Shermadini scored 7 consecutive points for an 8-13 lead by the visitors. 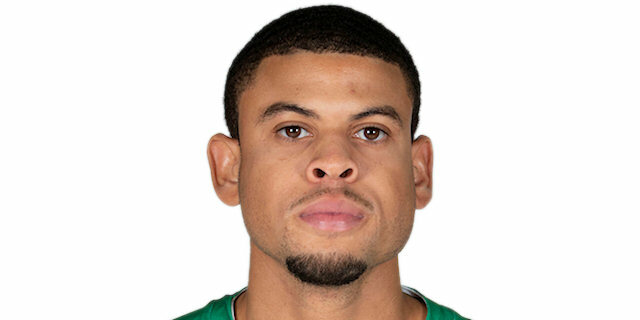 Efes struggled offensively as Unicaja used a triple from Jeff Brooks to open an 11-19 margin. 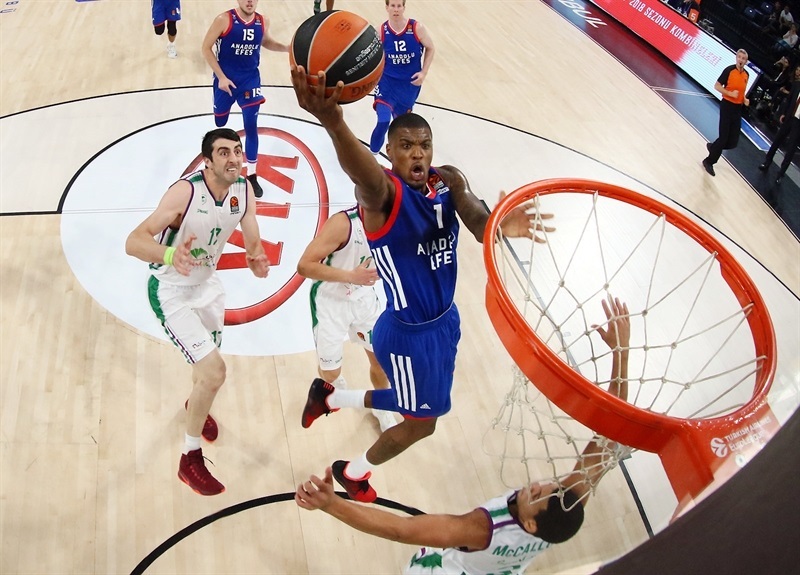 Simon and Adams came off the bench to spark Efes offensively. 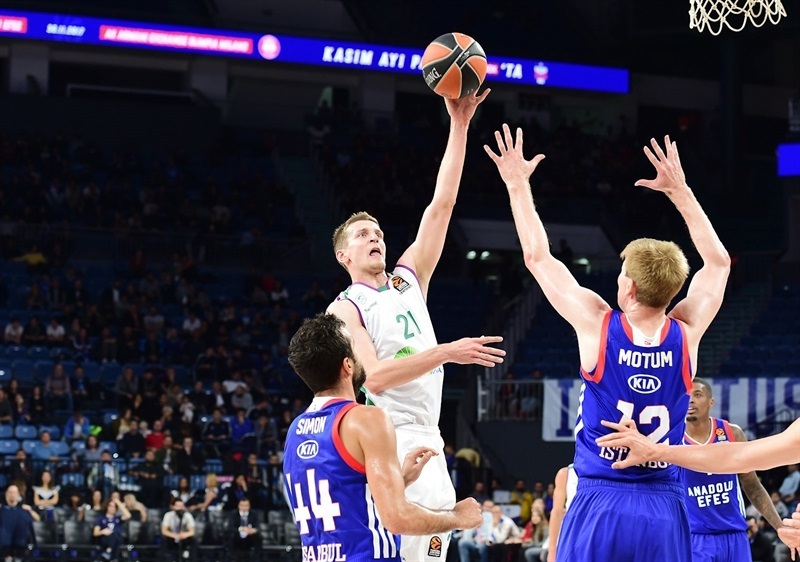 Even though Adam Waczynski hit from downtown for Unicaja, a trio of three-point daggers - one from Simon and a pair from Adams - helped Efes get within 22-25 early in the second quarter. 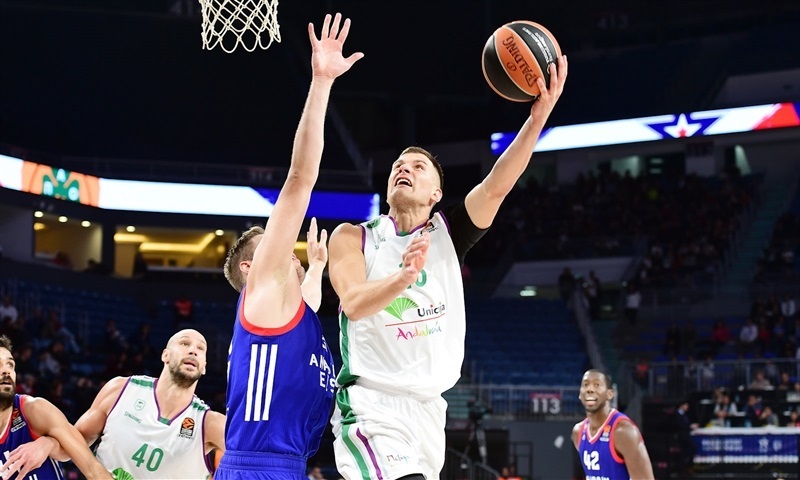 Wacyzniski's tip-in was Unicaja's lone basket in the first 5 minutes of the second quarter as Efes started to run fastbreaks. Stimac battled under the rims for a tough two before Ricky Ledo had a second-chance basket and assisted on a dunk by Adams that tied the score, 28-28. 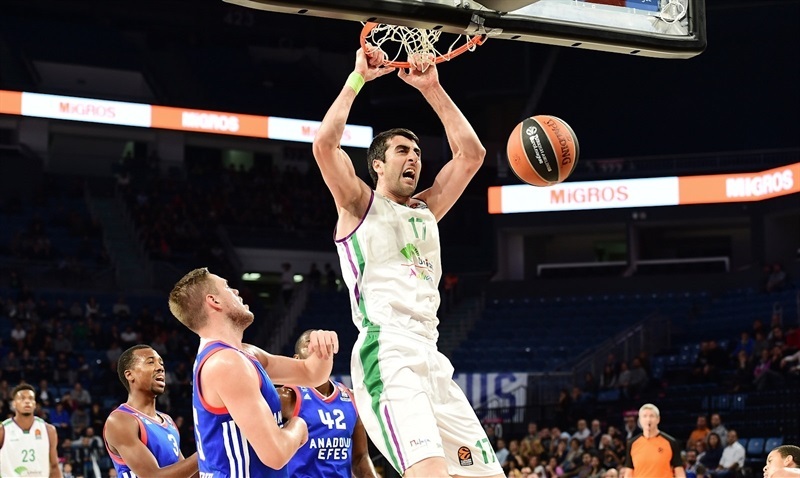 Stimac used offensive rebounds to put Efes up 31-28, but Augustine took the lead back for Unicaja with a pair of inside baskets and Salin raised it to 31-34 on a jumper. Bryant Dunston's free throws and Simon's baseline turnaround flipped the scoreboard and Salin tied from the free throw line for a 35-35 halftime score. Dogus Balbay's flying put-back and Errick McCollum's 3 points got Efes a new lead, 40-35, after the break. Stimac and Augustine traded baskets before Dragan Milosavljevic detonated a fastbreak dunk and Nedovic drilled game-tying triple at 42-42. Simon's 5 points' worth of jumpers, Stimac free throws and 2 bank shots by Motum boosted Efes ahead 53-46. McCallum answered from deep and Shermadini dropped a hook shot for Unicaja to stay within 55-51. Dunston fed Motum and Adams went coast-to-coast for a layup as Efes kept the upper hand 59-53 after 30 minutes. Motum opened the fourth quarter from downtown for the game's biggest lead yet, 62-53. 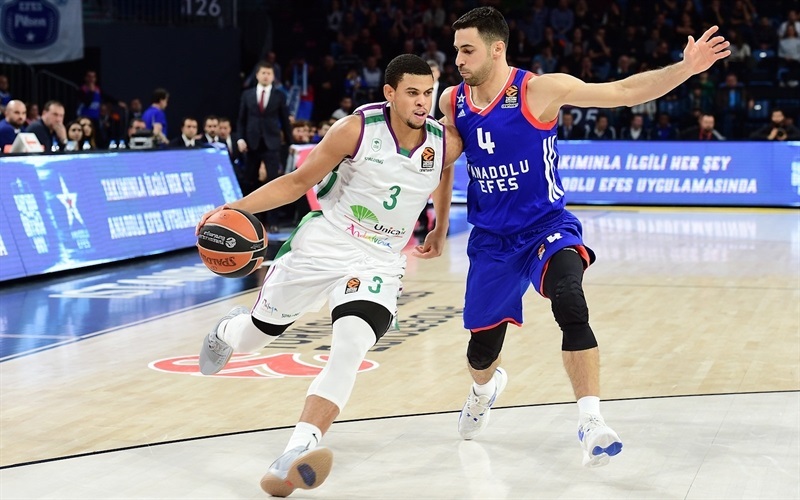 McCallum and Wacyzniski drew Unicaja closer, then Carlos Suarez and McCallum buried back-to-back threes to make it a whole new ballgame at 64-63 with less than 6 minutes left. Out of a timeout, Unicaja kept it going with Nedovic's transition triple for a 64-66 lead. Dunston and Nedovic traded layups before the latter led Augustine for a super slam at 67-70. 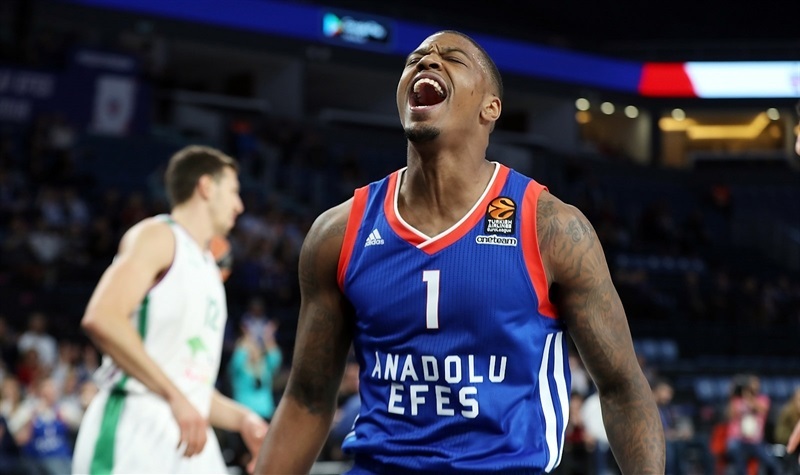 Nedovic soon snuck behind a screen for a huge triple at 69-75 with 2 minutes left and as the Efes offense dried up, McCallum's free throws entering the final minute iced the comeback. "It was a very tough loss for us. We expected that we could win the game, especially in the last quarter, when we had the advantage. But finally we didn't know how to play the last moments and Malaga beat us. Congratulations to Malaga. We started the game bad. In the second and third quarters, we played much better. We took control of the game. In the fourth quarter, when they scored 3 three-pointers in a row, we went mentally down. After that, we wanted but we couldn't win. It's a tough moment for us. We lost three games at home. So for sure we have change many things to play better and start to win games. It's a very tough competition. 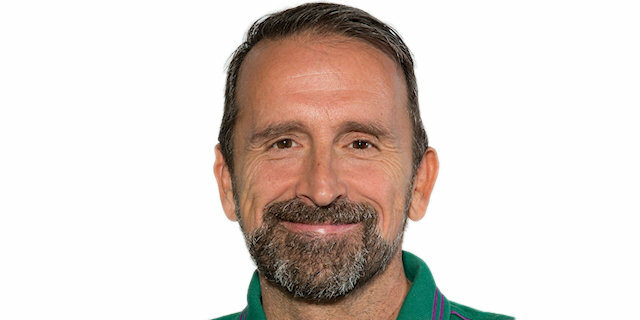 Every team is tough and every victory will be very difficult. We will look to change some things." 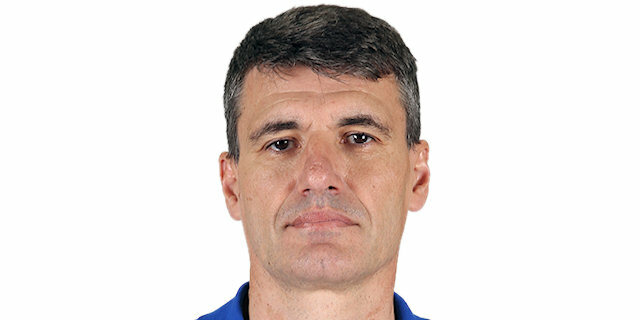 "we came here knowing that Efes still has enough of a team to keep competing in this championship. After we saw their games against CSKA and Fenerbahce, we came here absolutely humble and knowing that we had only won one game. We needed to give our best, and and that's what we tried to do from the first quarter. We came in tough, we began quite serious, controlling the rhythm and even our averages were good at the beginning. But after that we suffered too much against their offensive rebounding, especially with Stimac grabbing five offensive rebounds in our zone. And even if we tied the game before halftime, our beginning of the third quarter - with not bad shots but probably bad average and bad chances for coming back on defense, to make a good defense - we let them get a run. I don't know if we were losing by 8 or 10 points. The most important thing was we didn't give up, we were still fighting until we were able to tie. I think in the last quarter we changed the rhythm. Our shots started to go inside from two, from three and even from one. Only our turnovers did not let us to break the game finally. 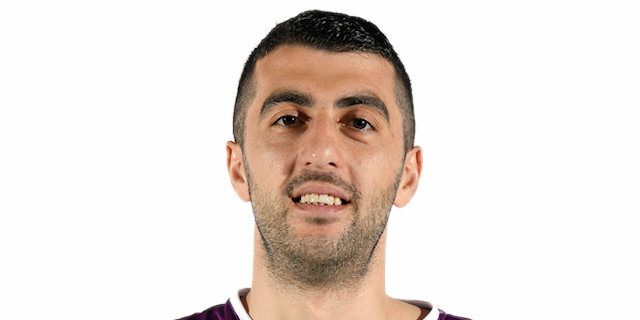 We're happy for the victory of course, especially knowing that Efes can wake up at any moment of this championship." "It's a really good win. Congratulations to my teammates for one more victory in the Euroleague. It is not easy what we did here in Efes' gym, so we are very happy today." "It was a huge win for us. It was a game we knew that we had to come out here and win. It's tough to win on the road and we fought hard, battled back. We were down and we stayed with it. Guys came in off the bench with energy, and down the stretch, a lot of guys made big-time plays, big-time shots. It's good to get back on the winning track." "We stuck together as a team, we play hard on defense, we got rebounds. And then we started making some shots. Nedo came up big, Ray came up big, and we played well as a team. Carlos played well. It was a team effort and a team win."